Every week the Friendship Club attracts between 40 and 50 members! They come to meet with friends both new and old and are greeted with tea, coffee and biscuits on arrival. Some play cards, others enjoy a variety of games and even play conkers! For those who wish to attend, at 11am the Minister usually gives his weekly shiur on the sedrah of the week or on other topics of interest. The highlight of the club day is undoubtedly the lunch. A three course meal of soup, main course and fruit is prepared and cooked by Rowena with her helpers. The main course may be roast chicken, fish, quiche or another delicacy. 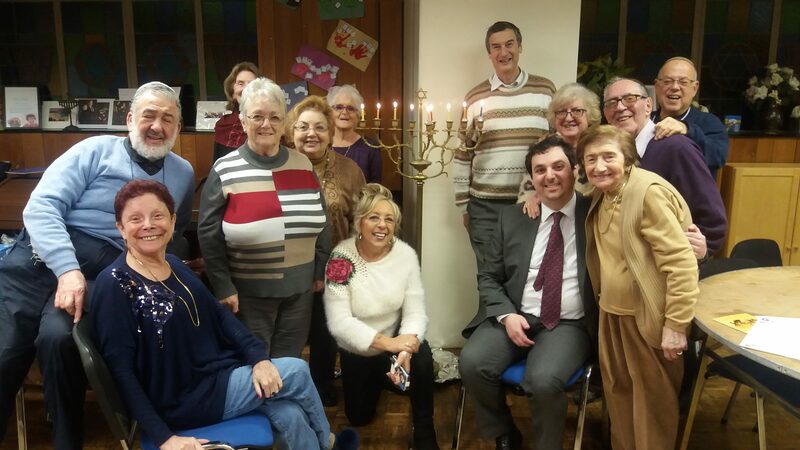 Members start arriving at the synagogue hall on Tuesday mornings from 10.00 am onwards until 4pm. All of this for just £5.